In 2008 tech analyst Mary Meeker predicted that by 2014, more people would be using the Internet from their mobile devices than from fixed equipment like desktop PCs. It looks like she was on the money, according to reports like this one at Smart Insights. And now Google has made mobile even more important by announcing that it will begin tagging sites that are "mobile-friendly." Those sites are expected to be more visible in the results of searches made by mobile users. The trend toward mobile access should provide a big boost to companies like Xeal Mobile, an online service portal that helps businesses and individuals build their own mobile website in minutes. 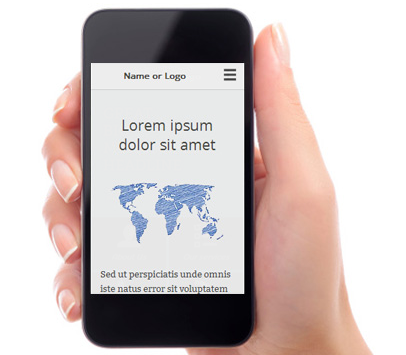 Xeal Mobile does the job through its website where it says users can create their own mobile site in an average of seven minutes. They claim to be the easiest mobile website builder available on the Internet. Xeal Mobile provides layouts and designs along with features such as image galleries, contact forms, video and eCommerce. The service also handles supporting elements including SEO, marketing and Google Analytics. Users can give Xeal Mobile a test drive for free for 14 days. If they want to continue using the service, packages for small or medium-sized businesses start at $37 per month. Xeal charges a flat fee with no contract or other commitments required. More details are available at the Xeal Mobile website.